DMR LOCDD Lenkergriffe in rot. Wenig gefahrene Lock On Griffe. DMR LOCDD Grips fit easily and lock securely to the bar, two grubb screws clamp through an alloy ring onto a steel sleeve, firmly gripping the bar without damaging it. The clamp is housed in the outside flange and the stiff plastic core of the grip resists twisting. The locking mechanism is only at one end, so we can make the grip the right length and the lever end can be soft and flexible. The grip surface is `Kraton` rubber for comfort and durability in all conditions, the DMR `DD` logo pattern is staggered in height for leech like grippyness! Checkt auch einfach mal meine anderen Anzeigen. 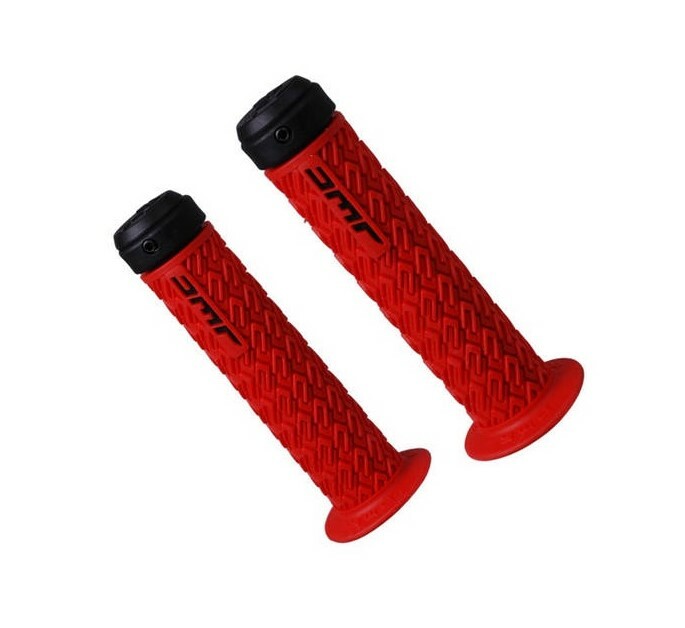 Dort finden sich auch immer wieder zwischendurch interessante Bikeparts.